For those who think gas and electricity are the only energy sources used in the kitchen, it’s time to rethink cooking strategy. In recent years, induction cooking has gained a foothold, with gas and electricity fans taking notice. 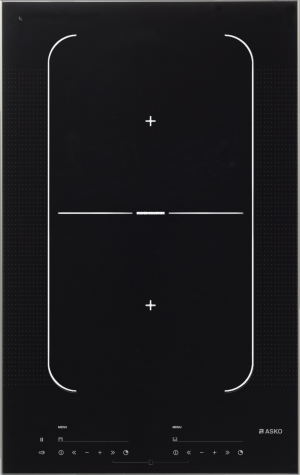 Induction cooking utilises a magnetic field to direct energy (heat) to the cooking vessel while the remainder of the induction zone remains unheated. The ASKO HI1355G Induction Cooktop is state of the art technology, introducing users to a whole new cooking experience. Induction cooktops are safe, reliable and energy-efficient, heating and cooling at rates comparable to gas cooktops. 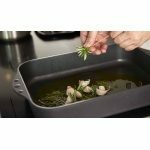 The precision heating appreciated by professional chefs and home cooks alike is available, accessible and easily achieved with induction cooking. Magnetic field induction doesn’t need a secondary production source for converting energy into heat and almost all energy is transferred instantaneously to the cooking vessel. ASKO innovations, including the HI1355G Pro Series Domino Cooktop, continue to lead the way in stylish form and impressive function. Why choose the HI1355G Cooktop? As kitchen appliances have evolved, so have choices. Cooktops are no exception, with new and enticing products entering the market on a regular basis. There are many factors to consider when choosing a cooktop, and the final decision should fully satisfy user preferences for personalised cooking styles. The varied ASKO cooktop range is the culmination of technological innovation and engineering expertise dedicated to presenting the complete oven and cooktop range suited to all kitchens. 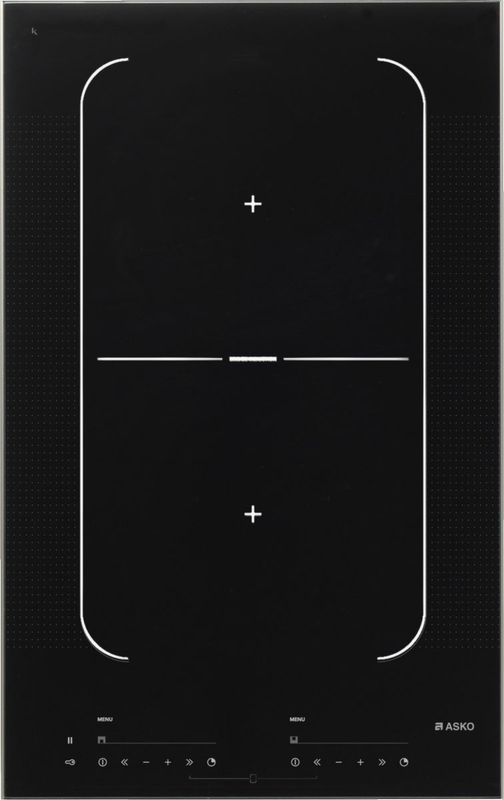 The surface area of the HI1355G Induction Cooktop makes it ideal for smaller homes and inner-city apartment living. At only 33cm wide, the HI1355G is also ideal for extending existing cooking space without sacrificing kitchen functionality. Although small in stature, the HI1355G Induction Cooktop is big on features. ASKO induction cooktops contain all the usability of the best gas and electric appliances, offering auto programs for boiling, frying, simmering, grilling, or simply keeping food warm. ASKO cooktop versatility can’t be beat. Heat is a powerful energy source. The power in heat is lost if it isn’t targeted, and a poorly functioning cooktop or oven will quickly turn the kitchen into an overheated sauna. 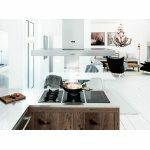 All components of ASKO electric, gas or induction appliances are purpose-built for energy-efficiency using the highest-quality materials and latest technological innovations. Induction cooktops focus heat directly on the cooking vessel, without losing any residual heat as waste that simply heats up the room. Summertime cooking can be austere even in the most attractive space, ultimately affecting cooking enjoyment and culinary results. A cooler kitchen, courtesy of an induction cooktop, allows the chef to keep a cool head and enjoy the cooking experience without overheated distractions. In addition, the rest of the cooktop barely gets warm with induction cooking. Only the cooking vessel heats up, making the kitchen a much safer place, especially for children. In fact, magnetic induction only responds to highly magnetic materials, leaving fingers and hands safely unsinged instead of burnt. What to speak of human skin, even other metals, (unless highly magnetic) won’t heat up if left on the cooking zone. The ASKO HI1355G Pro Series Domino Cooktop is a game-changer for a new generation of chefs who are ready to explore culinary possibilities. 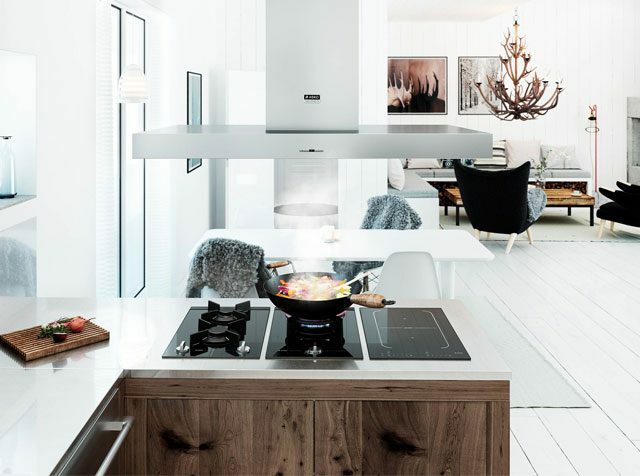 Scandinavian style has been centred around warm, inviting kitchens for millennia, and ASKO developers have incorporated all the classic elements in creating contemporary appliance designs that restore the tradition. 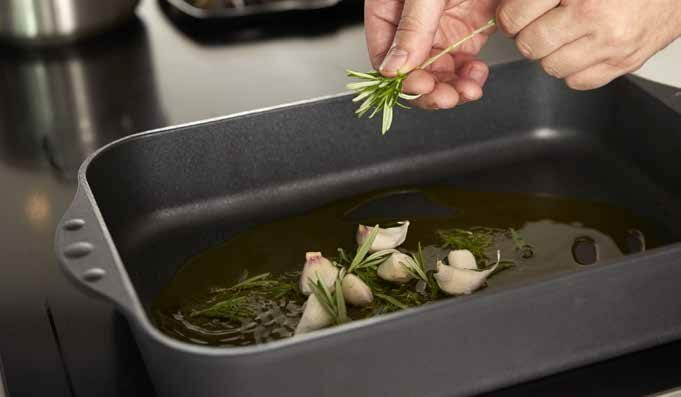 Enjoying succulent home-cooked meals with family and friends is easier than ever with ASKO.